Selling stock short lets you profit from a falling share price. One of the dangers of having a short position in a stock is that you become liable for any dividends paid by the shares you have shorted. Before you short sell any dividend paying stock, check on the distribution payment dates and take the potential of any upcoming dividends into your trading decision. The idea behind short selling is to sell shares now and buy them back later at a lower price and profit from the difference. Instead of buying low and selling high, shorting is selling high and then buying low. To take a short position you borrow the shares from your broker and then sell them short. To close the trade you buy back the shares to return them to your brokerage firm. Borrowed shares come out of the broker's inventory or the accounts of other investors with the brokerage firm. The point is that the shares you sell short legally belong to someone else. If a stock in which you currently have a short position pays a dividend, you are responsible for the dividend on the shares you have borrowed. When the dividend is due, your broker will withdraw cash from your brokerage account equal to the amount of the dividend paid on the shorted shares. The broker then pays the money to the owner of the shares. You should check when a stock typically pays dividends before shorting the shares. You do not want to get surprised by having a dividend payment taken from the cash value of your brokerage account. 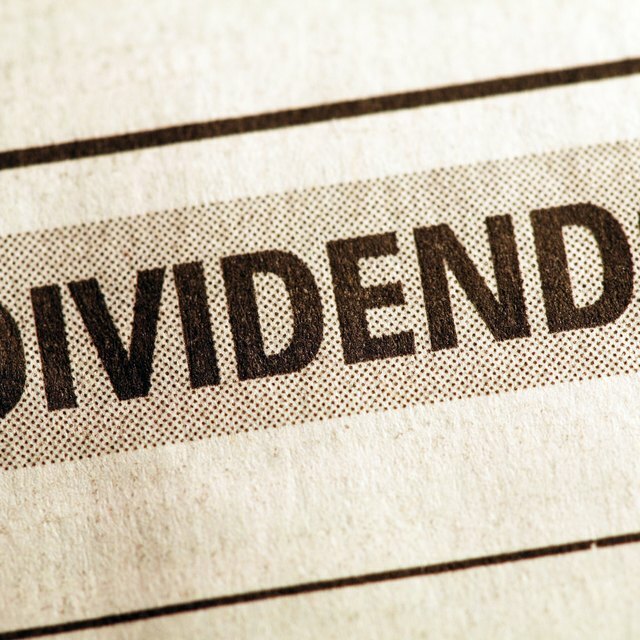 Any investor who owns shares on the ex-dividend date will be entitled to receive the dividend. The ex-date will be two business days before the published record date for the dividend. To avoid paying a dividend on borrowed and shorted shares, you should buy back the shares no later than the day before the ex-dividend date. If you are still in a short position on the ex-date you will pay the dividend on the borrowed shares. Is a Low Short Interest Ratio Good? One short selling strategy is to look for stocks you predict will reduce or not pay the next scheduled dividend. If the dividend is actually cut, the share price could drop significantly, producing a nice profit on your short position. If the company does not cut the dividend you may be hit with the double whammy of a rising share price and paying the dividend on the shorted shares. Taking a short position to profit from a possible dividend reduction is a high risk -- high reward trade that should weed itself out in a few days around the dividend announcement.